I would love to find some dumpsters in Onalaska, WI. I am hosting a party and need to find some where to put all the trash. Wow, I really like the ideas of these dumpsters. It's a good way to lighten up the hood a little bit. 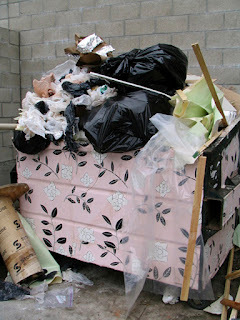 I actually love the idea to wallpaper your dumpster! We have a dumpster in our backyard and as useful as it is, I often get frustrated with how much it stands out. I would love to just put some wallpaper on it, and make it look a little less shabby. Thanks for this idea!